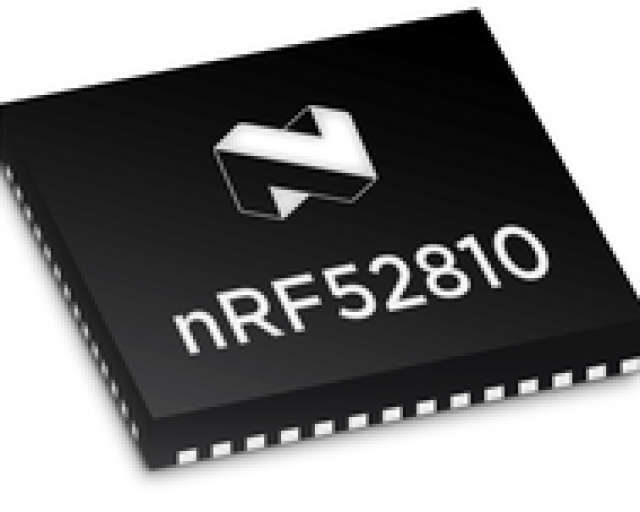 The nRF52810 is a high performance multiprotocol SoC supporting Bluetooth 5, ANT and 2.4GHz proprietary applications. It has been designed to offer advanced features such as Bluetooth 5 and an ARM Cortex-M4 CPU at a level that makes it compelling for even the lowest cost Bluetooth low energy applications. Together with the nRF52840 and nRF52832, the nRF52810 completes the nRF52 Series SoC range, giving developers a broad selection of features, memory variants and small-footprint package options.